Can I ask a favor of you guys? 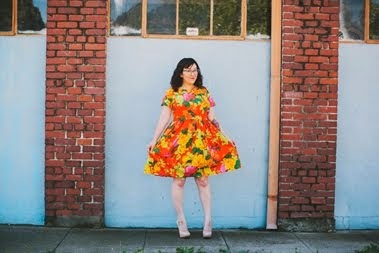 My good friend Rochelle was nominated for a Craftsy award for her blog photography and I truly believe that she deserves to win. It is very rare that Rochelle and I go for longer than a day without texting. We share our hopes, dreams, sewing projects, and animal photos (of course!). I know how hard she works on her photography and how much winning this award means to her. Would you mind taking one minute out of your day to vote for Rochelle? If you scroll to the bottom of this post she explains how to do it. Please, please, please vote! She is currently tied at 36% and needs some votes to push her into first place. To say "thank you" for voting I have included this glamor shot of Rochelle and I having an Emoji face off last year via Instagram. Haha! Aww Erin I love you so much. Thank you, Darling!!!! You are the best ever. OMG, that photo! Love it!